The average price of limes in the wholesale markets of Lima rose by around 1,000% between May and August. 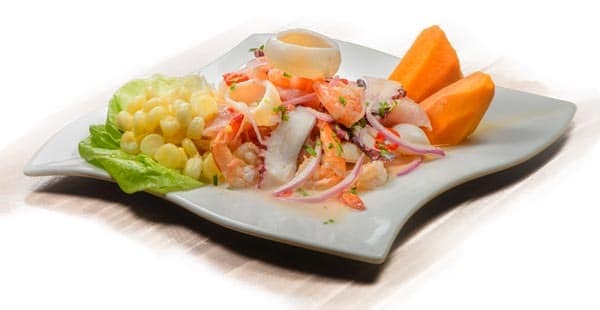 Limes are an essential ingredient within Peru’s diverse gastronomic offering including Peru’s national dish, ceviche, as well as in popular homemade drinks, which could be affected. The astronomical increase is due to problems with the harvest in the main growing region on the north coast. According to farmers, the lime crops suffered from excessive humidity, flooding and pests during an important period of their growth. “The flowers that mature in July and August fell off (during the rains). And if there are no flowers, there is no fruit”, said Sergio Del Castillo, General Manager of the Association of Citrus Fruit Producers in Peru. He added that lime tress were adversely affected by the El Nino phenomenon, and will therefore need time and careful nurturing to reach their productive potential. As a result, production has been affected – the average quantity of the fruit in stock in the wholesale markets of the capital has fallen 60% since May. The Agriculture Minister, José Manuel Hernández, laid the blame on “the behavior of some traders who are speculating with the price”. However, according to Hugo Perea, the chief economist for Peru at BBVA research, the Minister’s theory cannot be confirmed, since speculation – purchasing a product and withholding it in the hope that the price will rise – is not common in agriculture due to the perishable nature of the goods. In addition, water rates increased by 19.9% in the first three weeks of August, which led to the highest prices for 23 years. This, coupled with the rise in the price of limes, led the President of the Central Reserve Bank, Julio Velarde, to refer to the price increases as the “limeade (or lemonade) inflation”, since this homemade drink made from fresh limes is a popular beverage in Peru. Hernandez stated that the possibility of importing limes from Ecuador or Colombia was being assessed, although there is a potential risk of contamination. According to Del Castillo, Ecuadorian and Colombian limes are prone to HLB, a fatal disease that effects citrus crops, but which is not present in Peru. In any case, the volumes of limes available on the market should rise when the new harvest becomes available in October. Consequently, travelers planning a custom Peru tour can rest assured they will still be able to come and sample the country’s culinary delights.